If you are fond of art, you should know that the Hotel is very closed to Santa Maria delle Grazie Church, where you can admire the famous panting by Leonardo Da Vinci, "Il Cenacolo" (Last supper). The Hotel is also fifteen minutes far away from Duomo, the wonderful gothic cathedral, famous all around the world. 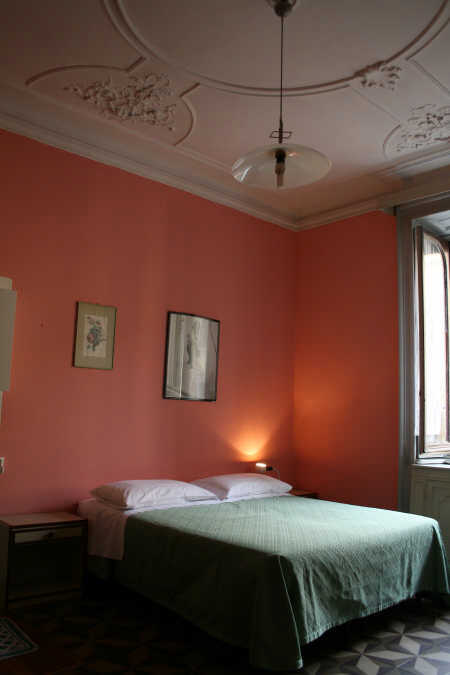 Additionally it is the right accomodation for students, the Hotel is twenty minutes from Navigli, one of the most popular and typical area in Milan, full of restaurants, pubs and disco's. The Hotel is also quite near the main Universities, to which it is connected by a very efficient network of public transports. Therefore, it is the perfect accomodation for students. 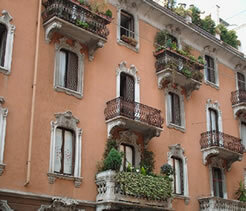 The Hotel is also perfect for those tourists who come to Milan for business just for the few fiera days. As a matter of fact the Fair is close at hand. During the year, Panizza's customers are for the most young italians and foreigners, while, in the summer, the Hotel receives young backpackers, or those who are living inter-rail adventure. If cancelled or modified later or in case of no-show, the total price of the first night will be charged. From MALPENSA: Arriving with the Malpensa Express you arrive in Piazzale Cadorna, from there continue with underground MM1 red line, direction BISCEGLIE/ RHO FIERA and get off at CONCILIAZIONE station. Arriving with the Malpensa Shuttle, you arrive at the Central Rail Station of Milan (FFSS), from there continue with underground MM2 green line, direction FAMAGOSTA, get off at CADORNA station and change line, taking underground direction BISCEGLIE/ RHO FIERA and get off at CONCILIAZIONE station. From LINATE: Take the BUS N°73, once you get in Piazza San Babila, continue with underground MM1 red line, direction BISCEGLIE/ RHO FIERA and get off at CONCILIAZIONE station. From ORIO AL SERIO (BERGAMO) a shuttle-service arrives to stazione centrale fs. Continue with the metropolitan M2 (Green line, Famagosta direction) until reach Cadorna station. Get off at CADORNA station and change line, taking underground direction BISCEGLIE/ RHO FIERA and get off at CONCILIAZIONE station.